Ever since I posted a picture of my 4 year old son holding a plate of waffles on divinetaste facebook page, I had a number of requests for this recipe. And here I am with this much requested post today! Different shapes and colours always arouse the curiosity of children and when I was faced with the predicament of what to pack for Hari’s snack box in school the next day, my eyes happened to chance upon the almost unused waffle griddle hanging from one of the walls of my kitchen. So, I decided to settle for little waffles instead of large ones made from my electric waffle iron. And ever since then it has become a regular feature in my little one’s snackbox, although he wont eat these with the chutney. Never the less, it is one of the ways for me to sneak the very healthy green gram dal into his diet. Green gram dal is a nutritional powerhouse and one of the healthiest foods known to mankind. 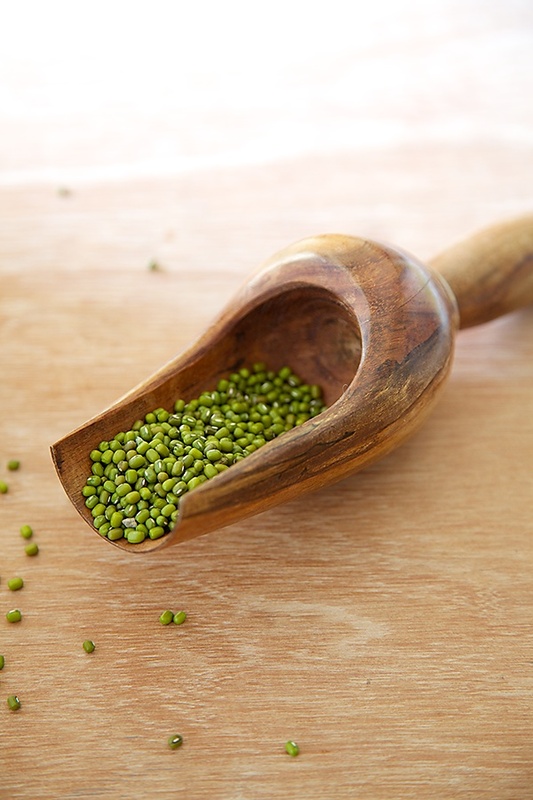 Brimming with all the essential minerals and proteins apart from a host of other healthy components, what sets this lentil apart is its capacity to retain the very essential B vitamins within its luscious green skin. And with its capacity to ward off many illnesses, one would surely benefit from incorporating this miraculous dal into one’s diet. 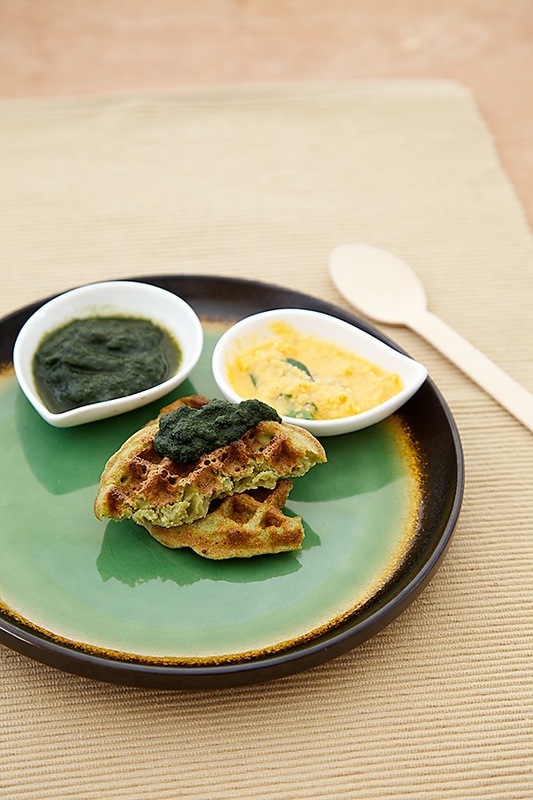 These gluten free waffles made with Indian green gram and spices and served with different chutneys to satisfy the sight and the tastebuds are great for breakfast, snack and most definitely “right” for going into your kids snack boxes. If you do not have a waffle iron make them like pancakes. You could also add grated vegetables like carrots to make this more nutritious for a child's snack box. Clean, wash and soak the green gram and the rice for 2 to 4 hours or overnight if you wish to make this in the morning. Discard the water and grind into a smooth paste along with the green chili. Put in the asafetida, gram flour, salt and the soda. Adjust the consistency of the batter which should me medium smooth, of the consistency of pancake batter, with extra water if required. Heat the waffle iron or waffle griddle and grease it with oil using a silicon brush. Pour the batter. Flip and cook on the other side till done. Serve with red or green chutney. Grind everything together using a little water if required. Grind all the ingredients together using a little water to a smooth paste. In a seasoning wok, put in the oil, stir in the mustard seeds and when they pop, put in the curry leaves and asafetida. Pour over the chutney and give it a stir. Lovely post… Have made similar waffles earlier but love to give this a try too!! Hope you like these too Rashmi. Hi, i dont have a waffle iron. Can i try it on a regular sandwich toaster? Good recipe. I have been looking for a waffle griddle/iron and your post makes me think of buying it NOW! Which one do you have? Do you have any recco on which one to buy? Thanks for all your lovely recipes and photos…..so refreshing and truly divine!! Aishwarya: I doubt a sandwich toaster will work. You can try making this into pancakes on a griddle if you dont have a waffle. Shree: I have an electric waffle iron and a griddle that looks like thishttp://www.agathyme.com/images/products/01930.jpg You can look online for a good waffle iron which is easily available nowadays. 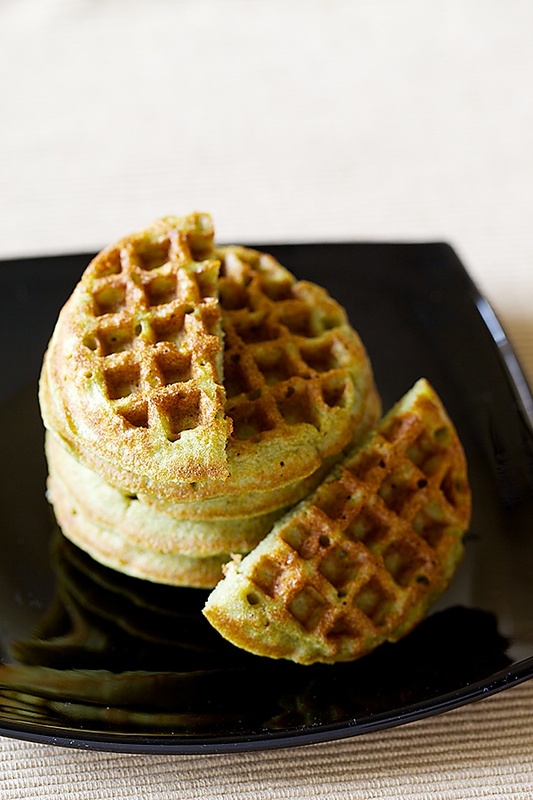 I really liked your idea of making waffles with green dal. I will surely try this. Hari Chandana – It really tastes good. You must try it some time. Mummyhiskitchen: Hope you like it as much as I do. Before reading this blog, I just read your profile and now I totally agree that you are truly a food writer, recipe developer and an awesome photographer too. Truly amazing. And I never even imagined that waffles could be done using moong dal. Seriously an innovation it is. Seeing the picture my son is already pestering me to do it for him. So I have ordered all the ingredients required from http://qusec.in/ and will be trying it very soon. Thanks for such an innovative recipe. And please don't mind, I would like to give a small suggestion. Since you are a photographer too, please put in pictures of various stages of cooking process too so that it will help people in a better way and in better understanding. Thanks. Sita: That is very kind of you! Hope you will love these waffles. Lakshmi: Thanks for your kind words and suggestion. I'm sure step by step would help many, but I have note adopted that approach or format here as there is a lot going into every picture that I put up here and I wont be able to do justice in terms of beauty or time if I approach this any other way. I give clear instructions in my recipes and always try to respond to queries. Hope this helps! And I hope this wont dissuade you from exploring other recipes here. Hey a very good blog.. I totally enjoyed reading it. A new kind of recipe!! And I want to thank miss Lakshmi for giving an amazing online website named http://qusec.in. Thanks for the blogger too. Lovely idea, Anushruti! They look perfect. 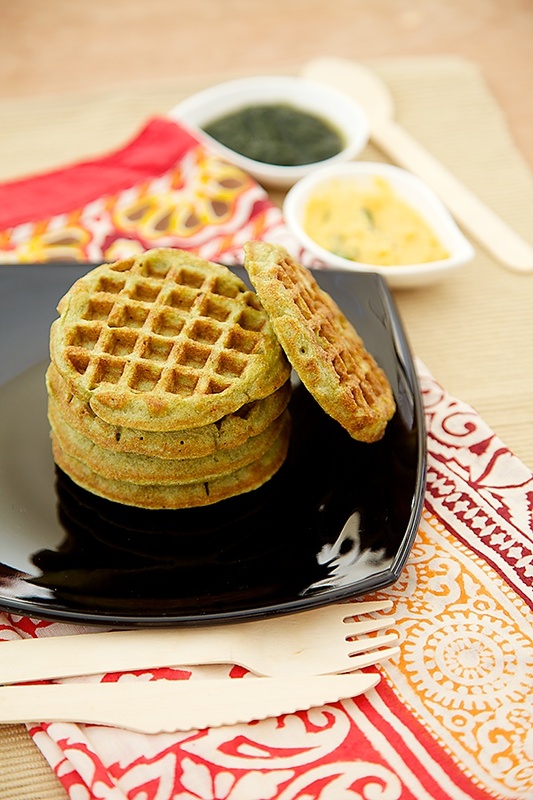 I suppose you could make sweet waffles from mung dal also — something to experiment! Lakshmi: Havent tried making them sweet. MAybe adding jaggery to it would add a different sweet dimension. Is there a substitute for hing? There used to be a gluten free version but it no longer available. Jayan: This is a savoury recipe and not meant to be sweet. Equal is an artificial sweetener and I do not use/recommend using artificial sweeteners which can do more harm than good. Hi.. Wow!!!!!!!!!! never expected pessarattu can be a waffle also.. Super Indian version.. will surely try this. thanks for the recipe..
anu- Exciting isnt it? Hope you like it. Rachna- I havent tried making this in the air fryer. These are best made in a waffle pan or on a griddle or pan. 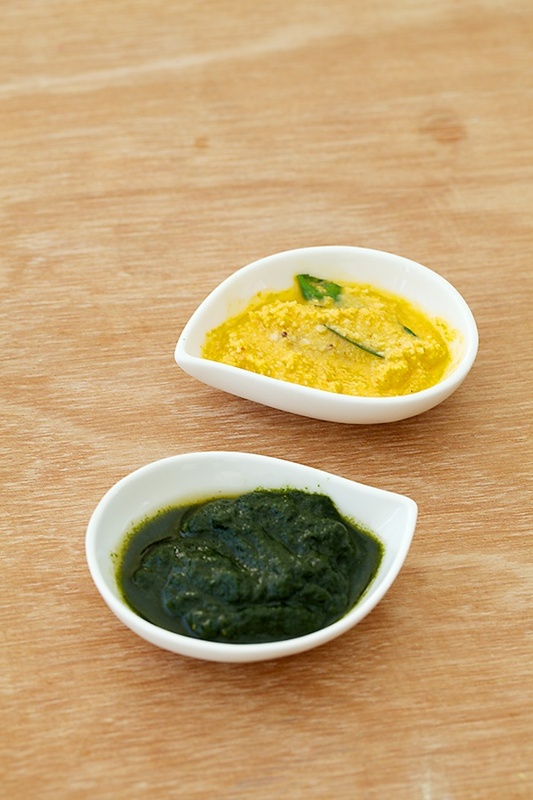 Just wondering…could I use moong dal flour instead of grinding dal? Any thoughts on the amount? Thanks! glly: Soaking the dal and grinding gives a certain texture and taste. You can try using flour by replacing it with the amount of dal mentioned in the recipe, but it wont give the same taste and texture.